Now that your child is officially a toddler, be prepared to experience some pretty big milestones, like saying goodbye to all those diapers and your baby's crib! 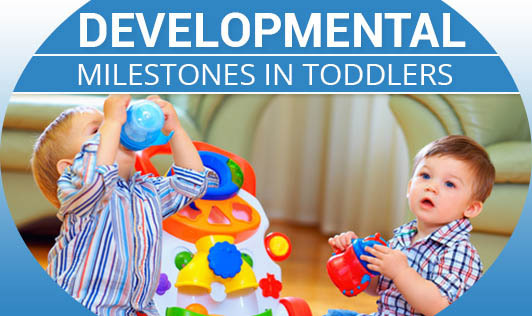 The height and weight charts show variations in every stages of development. Apart from which there are other milestones like socializing, art of learning, writing, playing, imitating, speaking etc. Here below we can see some important developments in a child. You might worry if your child is delayed in reaching a milestone. But some kids are simply late bloomers; some just master certain skills before others. However, if you're concerned, speak to your pediatrician to understand better.